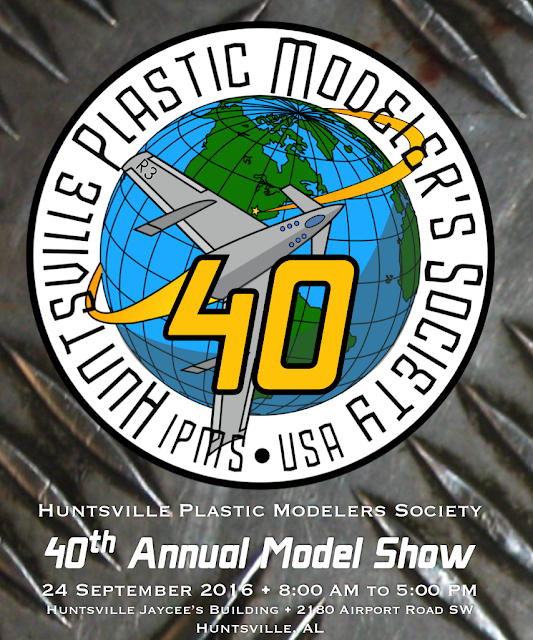 The 40th Annual HPMS Model Contest page is now live! Meeting convened at 7:00 PM on Monday, March 7, 2016, President Ed "The Head" Maslin. Minutes from February were read by the club secretary. 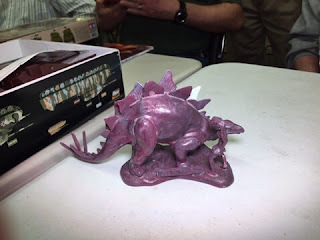 - The 2016 Contest committee met at the Huntsville Public Library on 24 February. The notes from the meeting can be found here. The club voted to adopt the recommendations of the committee, with one exception. - The exception was the special category for the contest - Tom Clark proposed changing the category from "anything to do with the number 40" to a "Vintage Kit" category, with kits dating from no later than 1976, built "Out of the Box." The club voted to accept the special category. - Tom also announced that the club now has a Facebook page. Click Like! - Tom also presented prototypes for the club contest flyers, to be distributed at the upcoming IPMS Marietta contest, and elsewhere. - The club voted to assign vendor coordinator duties to David Lanteigne. Dave will provide Tom a vendor email for use on the flyers and for the IPMS contest database. Dave will canvas for more vendors, and expand the base from just "guys selling model stuff" to other potential markets. - Tom will schedule another committee meeting at the Library this month. Topic will be contest budget and other topics not yet addressed for the contest. - Tom will look into the publishing schedule for FineScale and Scale Auto to look into getting into the publication a little earlier and longer than usual. The club members were encouraged to put notices on the contest out to other websites. Tom will generate a standard blurb for posting. IPMS Nationals are coming in August of this year. Tom received a letter from the contest committee asking for trophy sponsorships. The club voted to sponsor "Real Space" if it is available for $100. Tom will send the information on registering the package to Dave. Hama-con is coming up in June. 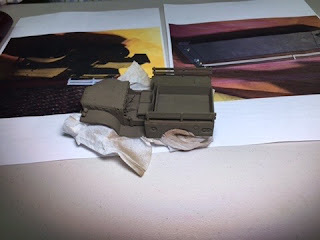 For the last two years HPMS has been handling the Gundam model Make-and-Take for the convention. Dave approached Michelle Timons about having HPMS take over the management of the event, including procuring kits and conducting the event, in which case HPMS would handle all the money. 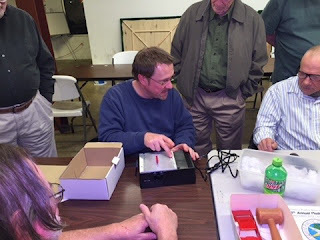 Tom and Dave took an action to look into the cost of procuring some easy kits to use. Mark Saunders had the Tamiya "25 pounder" gun that he's been working on for a change of pace. Alfie Onuszkanycz has some styrofoam containers about the size to hold six-pack that are available for people who might want to use them as model transport containers. Contact him via the list if you want some. Ed Kiker had an old Q-ship model, and a 1950's "Caveman and Dinosaur" model he rescued from a garage sale. Ray Bushnell had his in-process Dodge Weapons Carrier. Tom Clark brought his "Drone Sniper" kit he had just procured from Industria Mechanica. Andy "Nine Fingers" Brezinski had the new micro-table saw he had procured with him, which he described as being "...perfect for laying down an even layer of styrene dust on the living room carpet."